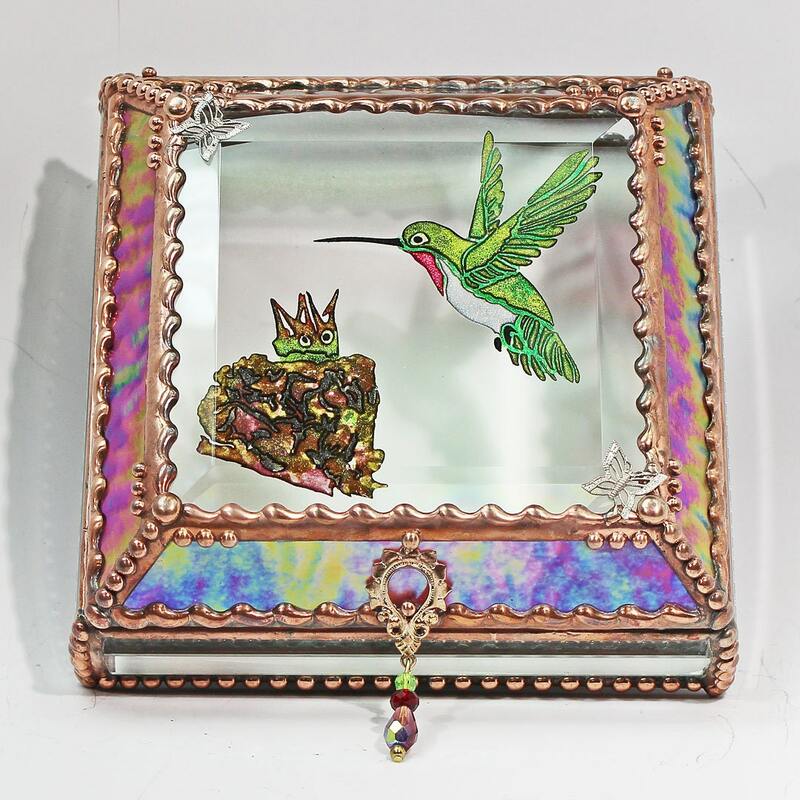 Translucent and shimmering hand painting sets off this Hummingbird design. 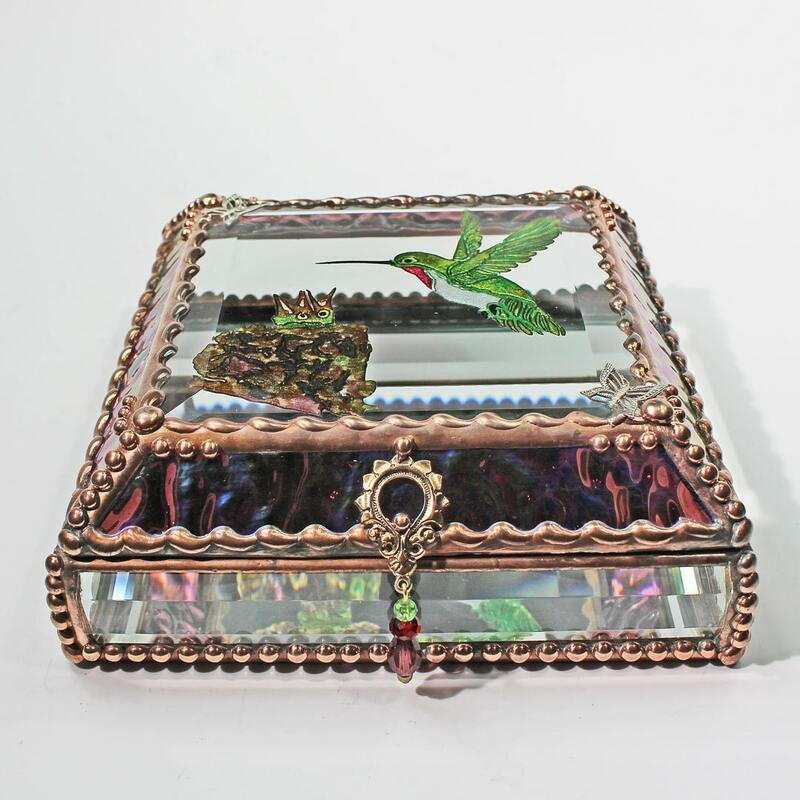 Iridescent Lt. Burgundy rippled glass creates vivid mother-of-pearl colors reflecting off the glass surface along with with hand worked metal. Each bead and texture created one at a time. Size 5" x 5" x 2"